With changing tastes, growing interest from China’s middle class and ancient objects emerging from the ground, there are some new opportunities in the hugely diverse realm of Chinese earthenware. A blue and white porcelain vase, tianqiuping, Yongzheng (1722–35) mark and period, with interlocking lotus, pomegranate, peony, camellia and seasonal flowers and bands of waves. The scope of Chinese ceramics is enormous. Spanning centuries, dynasties, regions and vast stylistic changes, the art of these pieces, which are sometimes still referred to by laymen as “china,” has a depth and beauty that captivates Eastern and Western collectors alike. However, the growing moneyed middle class in China over the past few decades has radically changed the market for these ceramics. 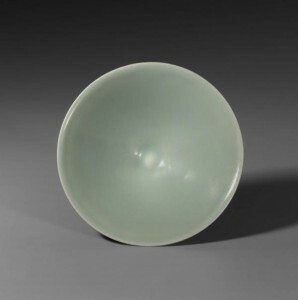 Whereas for centuries there has been Western interest in certain kinds of pieces—most commonly in the “blue and white” patterns that are so familiar to our eyes—Chinese interest is developing and shifting not only prices, but the relative popularity of various styles and eras of ceramics. 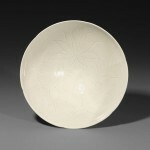 Beginning in the 17th century, Western interest also spurred certain trends in export ceramics. Manufacturers began experimenting with overglaze enamels and different colors specifically for western collectors. 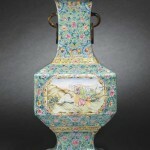 By the 18th century, European manufacturers began to fabricate pieces of porcelain in certain look-alike styles. The famous blue and white “willow pattern,” which is said to tell the story of two star-crossed lovers, features Chinese-inspired stylized features, complete with a border that resembles the Great Wall. However, the style, which is extremely recognizable and widespread today, didn’t even originate in China, but instead is of completely European design. 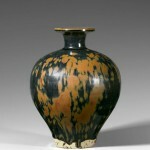 Of course, the pattern was copied by Chinese potters after it became popular. But what about fakes? Any sector of the art market that deals with cultural and historic artifacts is subject to the art of forgery. Says Mahony, “There will always be people who will try to get around the tests. There is no definitive test. You need to consider multiple things when authenticating a piece.” The most widely known method is the thermoluminescence test, which can estimate the date of firing of particular types of ceramics. However, it requires that a small bit of porcelain be drilled or cut from a piece for testing, which can be very risky to a fragile piece. Therefore, exact dating can often be tough, although scholarship and manufacturing records can certainly be very reliable. Still Chait admits, “One thing that hurt the market, especially in pottery, was that at one point some years ago there were too many fakes of Tang figures. They were using polymer resins and grinding up bricks to get genuine 2,000-year-old powder to do all sorts of things with.” Certain buyers were turned off and didn’t want to worry about authentication or restoration. As a result, though, some parts of the market opened up. “Even today there are still bargains,” says Chait. As far as what’s still taking the big bucks, blue and white still rules. 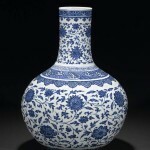 A beautiful Yongzheng mark-and-period blue and white porcelain vase recently sold at Bonhams for just shy of $6 million. With intricate designs of swirling chrysanthemums, interlocking lotuses, pomegranates, peonies and bands of cascading waves at the lip and base, along with the six-character mark in seal script at its bottom, one might consider it the perfect storm of porcelain.